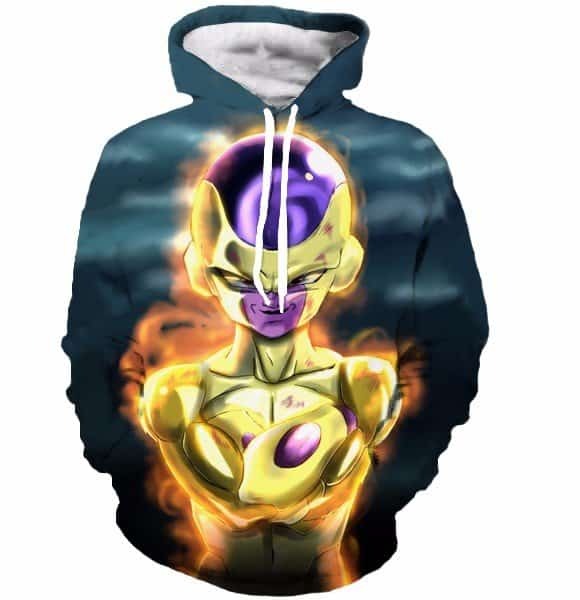 A trendy original Frieza Hoodie from the popular anime franchise Drgaon Ball Z. The emporer of the universe, Frieza was a legendary character in this hit franchise. If you are a fan of Dragon Ball Z then you must be a fan of Frieza, who was an epic character in his own right. The hoodie is comfortable to wear, looks fashionable and is wearable anywhere. It was designed for both male and female. great product! the recommendation to order 2 sizes up is right on!